"One of the best service-related businesses I've ever come across. Prompt, courteous communications. Arrived as scheduled. Fast, efficient work. Altogether a positive experience. Thanks Andrew"
"Can't keep your home knives sharp? Cool biz brings the knife sharpening process right to your door. I tried - it really works!" "Sharp My Knife has been a great addition to our outdoor producer based farmers’ market. Our market is ‘food focused’, hence our customers know good food and good quality. The extra perk of having Andrew here every month to sharpen our knives is fantastic. Every good cook needs sharp knives, and he does an awesome job." “Wow! What great service: professional, friendly, prompt, accommodating, and informative. Faced with carving a Thanksgiving goose with a dull knife, I made a last minute call to Sharp My Knife after finding them on the Internet. Didn't look like they would be able to accommodate my request - they are deservedly busy - but at the last minute, literally, Andrew found time to fit me in. At 7AM! That's not to say that one should take advantage of his efforts to oblige. People with more foresight than I will be equally delighted in the terrific service and the excellent results. I now have a set of expertly honed knives - I pulled every sad-sack out of my drawer most of which had received no TLC for years - and the go-to place for their maintenance in the future. Mr. B Sharp also offers an exceptional deal on knives and related accoutrements for his customers which I took advantage of. “Just a short email to thank you for the referral to Andrew at Sharp My Knife! I’m so pleased with the service and ability to bring my knifes "back to life” as it has been years since I purchased these knifes. We are going to enjoy cooking and spending time in the kitchen. It was so nice to cut our Roast Beef last night! 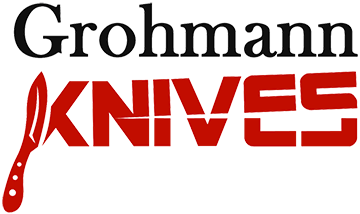 :)"
If you have an experience to share, a question to ask, or a great knife story, send it to us and we'll post our favourites here!